The scientia srl ​​completely takes care of the executive and design part of the renovations and new buildings, both of civil and industrial buildings, providing an excellent highly competitive service to private and public clients. Our interventions reach a qualitative level through a precise and careful management of the works and a rigorous safety coordination. We can carry out any type of real estate intervention with the specific aim of making your homes exactly as you would like, with the certainty of respecting the agreed budget and execution time. Every building, inevitably, over the years has different technical maintenance needs and to be able to maintain the highest level of aesthetics and functionality often need to intervene by restructuring partially or totally your property. In this sense, the scientia srl ​​offers a complete service, from the inspection to the project proposal, from the choice of materials to the complete renovation of your building. All this by creating an individual approach aimed at a broad customer satisfaction. The technological systems of your home, electrical and plumbing, represent safety, comfort and a significant source of economic and energy savings. 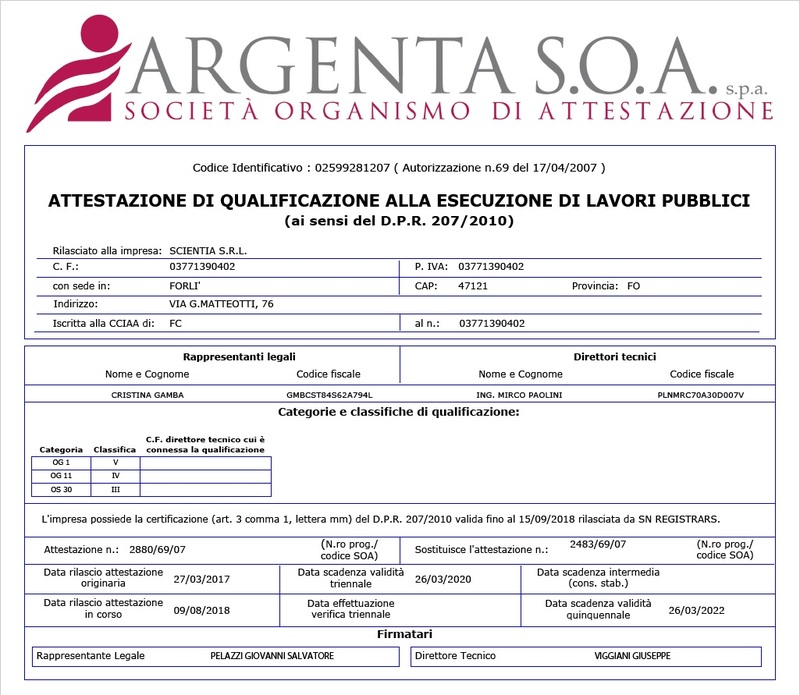 The scientia srl, thanks to its extensive experience in this sector, is able to offer a technical service of the highest level, from design to construction of the works, up to the completion of the practices to be presented to the bodies responsible for obtaining incentives and reductions tax. With modern technologies it is possible to have under control, on your tablet or smartphone, all the technology installed in your property at arm’s reach even remotely, independently choosing to control, adjust and set the thermal, electrical, heating and alarm, the desired temperature and light intensity also in relation to natural light. Whether in the case of renovations or new buildings, we pay more attention to the heating-cooling system of buildings, which is the main item of energy consumption expenditure. In fact, for the air conditioning of the rooms it is important to choose a comfortable and healthy system, which is able to guarantee high performance and at the same time reduce energy consumption. The attention to energy issues and the tendency to use low temperature terminals are contributing to the diffusion of radiant systems, floor, ceiling or wall that allow heating and cooling at low consumption, respecting the environment and in a way extremely comfortable. The proven experience gained in the realization of such systems allows us to offer advanced technological solutions at very competitive costs with the adjoining advantage of having a single interlocutor for all technological systems.